Tasked with implementing the so-called Aachen Treaty, the binational chamber is set to be launched amidst tense Franco-German relations. EURACTIV France reports. On Monday (11 March), the French National Assembly adopted the text enshrining the cooperation between the French and German assemblies. Enhanced cooperation between the legislators of both countries is one of the linchpins of the Aachen Treaty. Signed in Germany on 22 January, the new treaty, designed to strengthen and modernise the Franco-German relationship, has been decried by those on the political extremes and plagued by fake news. The far right claimed that it would ultimately see France handing back Alsace and Lorraine to Germany or that encouraging pupils to learn both languages would end up in the German administration of French regions. On the left of the political spectrum, there were criticisms that the text did not go far enough, with disappointment voiced in particular about the new assembly’s merely advisory role. The new assembly, one of whose missions is to oversee the implementation of the treaty, is due to meet again on 25 March for a first constitutive meeting. This cooperation also targets a harmonised transposition of European texts, and, ultimately aims to move towards a convergence between the French and German laws concerning companies, a recurring demand especially for companies operating in the cross-border area. 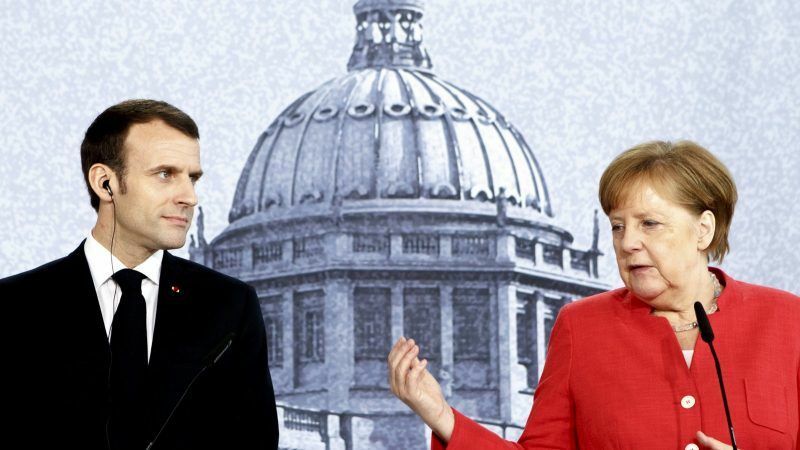 Cooling relations between France and Germany? The vote took place in a period marked by disputes between the two countries. French President Emmanuel Macron’s new proposals for Europe met with a vigorous response from the German right, supported by Angela Merkel. Some counterproposals are in distinct contrast with those put forward by President Macron on some points. For example, new CDU leader Annegrette Kramp-Karrenbauer wants to abolish the European Parliament’s Strasbourg headquarters and obtain a common seat on the UN Security Council, which France has no intention of negotiating. “No, we will not share our permanent seat on the UN Security Council, whether with Germany or anyone else,” Nathalie Loiseau, Minister for European Affairs, told MPs on Monday (11 March), while also dismissing any challenge to the European Parliament’s Strasbourg seat. This opposition contrasts with the German proposals. But this opposition must also be seen within the context of an electoral campaign in which Nathalie Loiseau features strongly, one in which the European right is feeling the threat from a centre-right given a new lease of life by Emmanuel Macron. A psychodrama that does not seem to overly affect the members of parliament involved in the Franco-German chamber project. Frédéric Petit, member of parliament representing French nationals living abroad (Germany, Central Europe, Balkans) and the architect behind the project, sees it as a tool to “meet the challenges facing the European Union today by federating the European partners around common innovative solutions”.